In an unprobable season in which none of the so-called experts predicted the Arizona Diamondbacks would even have a winning season, the Diamondbacks clinched the National League West division title against last years World Series Champion San Francisco Giants. The only question remaining is who the Diamondbacks will play in the first round. That all depends how the Diamondbacks and Milwaukee Brewers end the season. The Diamondbacks need to at least tie the overall Brewers record in order to receive home-field advantage in the playoffs. Arizona won all three games in their home series against the Giants, but still trail the Brewers by one game. Game one was the NL West division clincher, as the Diamondbacks beat the Giants 3-1 in their Major League leading 46th come-from-behind victory. The Giants scored in the fifth on a home run by Orlando Cabrera, and for a while, that looked like it would be enough to win the game. Giants starter Matt Cain held the Diamondbacks scoreless until Chris Young doubled in Paul Goldschmidt after he was walked in the seventh. With the score tied at 1-1, Goldschmidt tripled down the right-field line in the eighth inning to score Ryan Roberts, who doubled, and Justin Upton who was walked. That was enough to secure the win as the Diamondbacks bullpen shut out the Giants in the last two innings and J.J. Putz got his 44th save of the season. Joe Saunders pitched a solid seven innings, allowing nine hits but only one run. For the fifth time in franchise history, the Diamondbacks were able to celebrate a National League West championship. The did this in style by sharing it with the fans. They stayed on the field and shook the hands of the fans, sprayed champagne on the fans, and then many of the players ran out to the pool in right center field and jumped in. They must have stayed on the field for at least 20 minutes celebrating and enjoying the win with the fans. It was a great sight to see the personal interaction between the players and the fans. The next game Saturday night was a huge letdown for the Giants, as they lost this game 15-2, eliminating them from the National League Wild Card race, and the 2011 playoffs. Although the Giants scored one in the top of the first, the Diamondbacks came back and scored six in the bottom of the first. Three walks in a row were issued in the inning, followed by two singles, two doubles and another walk. After the Giants scored their second run in the top of the sixth inning, the Diamondbacks again retaliated by scoring six runs in the bottom of that inning, and extending their lead to 11-2. The Diamondbacks tacked on another three in the seventh, and one more run in the eighth for a final of 15-2. 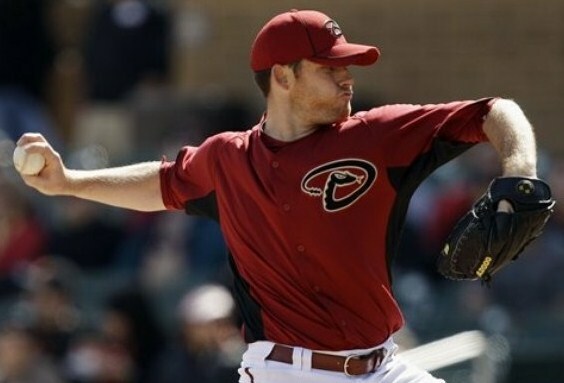 Ian Kennedy won his National League leading 21st game of the season, giving up two runs on five hits in six innings. Giants pitching gave up 15 hits and 13 walks in the game. Five Diamondbacks including Gerardo Parra, had two hits in the game, and Parra ended with four RBIs. Arizona completed the three-game sweep Sunday with a 5-2 win. The Diamondbacks scored two in the first inning. After Aaron Hill walked and Justin Upton was hit by a pitch, Miguel Montero doubled to score them both. Upton left the game after being hit for precautionary reasons. Two more doubles in the fourth inning gave the Diamondbacks another run. In the bottom of the fifth, the Diamondbacks tacked on another two runs after a single, double, walk, single and sacrifice fly. Montero finished the game 2 for 4 with two RBIs. Leading 5-0, Josh Collmenter gave up two solo home runs in the top of the sixth, but he closed out the seventh and the Diamondbacks bullpen didn’t allow the Giants another run. Collmenter got his tenth win on the season and joins Ian Kennedy, Daniel Hudson, and Joe Saunders with double-digit wins this season. Giants starter Tim Lincecum was replaced after giving up eight hits, two walks and five runs in just five innings of work. The damage had already been done by the time Lincecum was relieved, and the Giants could not mount a comeback. The Diamondbacks have gone from worst to first in one season, and have made a dramatic turnaround considering they only won 65 games last season. With this sweep, they now have a better record (93-66) than the San Francisco Giants (92-70) did at the end of last season. Their final three game series will be against the Los Angeles Dodgers at Chase Field as they try to get even with the Brewers in order to secure home-field advantage for the playoffs. ~ by Troy Erickson Realtor on September 27, 2011.